Coming soon.. KayakPro® Smart Ergometers. The Smartest tool in the box! We have some exciting new developments, currently in the finals stages of testing. A brand new “smart” upgrade Console available to all KayakPro® Ergometers; with dual-band Bluetooth Smart and ANT+ functionality. The KayakPro® Smart console will allow wireless connections to your cell phone, tablet and other devices and through our partners at Wahoo fitness [Download App here] you can seamlessly connect to over 110+ third party Apps, including Wahoo GymConnect but also to be able to share and export your workouts to your favorite cloud based training Apps. like Strava, Garmin Connect, Training Peaks, Apple fitness. 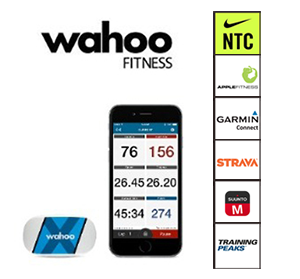 Nike Fit, Suunto Moves count, and many more.. you can even seamlessly add music to your workouts all through the same Wahoo App. Our brand new KayakPro 2017 software incorporates several software functionalities. Offers settable / programmable training workouts and rest periods. Scalable for multiple users, dependent upon plan. Set distance or time workouts with rest – with audio and visual countdown. Displaying each participants distance, time, HR, percentage of effort done, Kcal used. Set a pacer to race against. Upgrade packages allows a “self-performance” replay function to also be used. Why not get your club or group all connected for group workouts? Recordable, Analytical, performance software, that records data from customizable workouts on a stroke-by-stroke basis. Allows the user to add-in or remove all or some of the parameters on the display settings. Allows the data comparison of athlete-to-athlete performance or indeed his own previous performance. This is an add-on to Dashboard. Allows “spinning” style group workouts to be managed and displayed on varying display formats. Performance Monitor is an add-on to Dashboard. Dashboard purchase is required, as the base working platform from which to run Performance monitor. Allows Multiple Ergometers to be connected to show data streams for each. Displayed in a numeric format showing each athletes individual performances. *Graphic upgrade version will become available later any purchases of iRace will be automatically updated to the Graphic version as it becomes available. Clients have the option to select and choose the functionality features that they desire; Scalable for selected functionality and with options for increasing the number of users in the session. 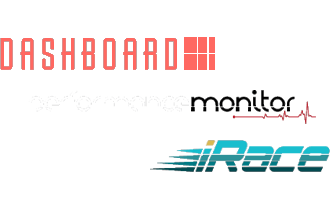 iRace is an add-on to Dashboard. Dashboard purchase is required, as the base working platform from which to run iRace. If all software functionality options are preferred, we have a 20% discounted “bundle” option. As our new software is developed we envisage both internet connected options and potentially wireless options.